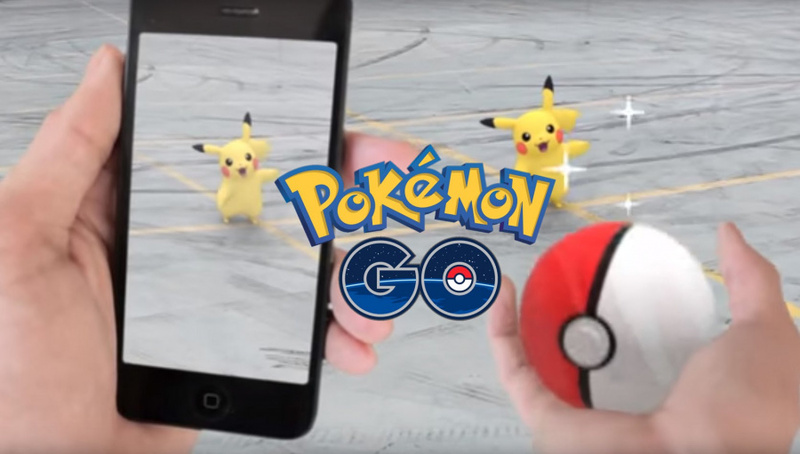 Though it's certainly tapered off by this point, it's impossible to dispute the fact that Pokémon GO had a pretty colossal debut. One would think that the developers behind this game would've realized in advance the kind of appeal that an AR Pokémon game would have, but it's also well documented that they were grossly underprepared for the tidal wave of demand around it in the first couple months. Oddly enough, it seems that Junichi Masuda shared the views of Niantic's developers; he expected it to be only a modest success. Game Informer recently talked a bit with the Pokémon Director to get his input on the game and its bearing on Pokémon Sun and Moon. He mentioned that he expected it to be a "smaller thing" and that the game was specifically designed to be a simple experience. I personally didn't expect it to be the big phenomenon it has become. When we were first beginning the development of the game, I really just kind of expected that a lot of people would play it, but as a smaller thing, where people would just enjoy going outside and catching some Pokemon. That was really actually where we put the focus of the game. We really wanted to kind of distill the experience of catching Pokemon, make it a simple experience, you can go outdoors specifically, walk around, find Pokemon, and catch them. I really just wanted to kind of express that concept with the Pokemon Go application. Not just catching Pokemon but also raising them and getting into battling. Really just being immersed and enjoying the Pokemon universe. In terms of whether Go's success affected Sun & Moon? It didn't affect the development of the game, or any of the features, but I think it's going to affect it in a way that, more people, for example, maybe just learned about Pokemon, or came back to Pokemon through Go. I think the awareness of Pokemon in general is a lot higher, so that may affect Sun & Moon in a certain way. What do you think? Would you like to see some GO features in a mainstream Pokemon game? To what extent do you think GO has impacted the excitement around Sun and Moon? Share your thoughts in the comments below. Almost everybody know about Pokemon. One of most recognized brand. That said, glad it didn't affect Sun and Moon gameplay wise, even if maybe I wouldn't mind the return of the PokéWalker feauture. I mean, that was like Go, going around with a chosen Pokémon, hunting wild ones as you walk, just it was 100 times better since the Pokémon catched were transferable to the game (indeed I think I did more kilometers cause of Pokémon back in the HeartGold days then with Go ^_^; ). I remember when there were signups for fieldtesting it. No one I knew was interested. Yet when it released, everyone I knew downloaded it. Well if that was your intention you failed miserably. Many people in rural areas still have a hard time finding Pokemon. I honestly don't understand how they didn't anticipate the popularity of the app. Do they really think so little of their own IP? They could have capitilised off the success with more merch ready to go for the launch. The way Nintendo always turns out to be "surprised" by the success that comes with giving fans exactly what they want is baffling. 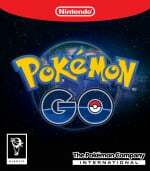 Backwards compatibility via Pokémon Bank? They didn't expect the massive traffic. Giving fans the option to create their Mario levels via Super Mario Maker? Didn't expect that game to be a heavy hitter. Super Smash Bros. having DLC? What do you know, it sells. I bet they're kicking themselves that they didn't hold back a much larger share, pity the majority of the proceeds goes to Google AKA Niantic. And yet in the latest issue of GamesTM, the producers of Sun/Moon talk about how the success of Go has directly impacted Sun/Moon, from the renewed focus on G1 'mon over there pushing them to do more Alolan forms over here, and the emphasis on Catching in Go making them want to focus more on training in Sun/Moon, to make a more distinct feeling between the games. But at least the idea there is that "this was a success, so let's do something different to make it more unique", not "that worked well, let's copy it". I wasn't expecting it, either, especially considering it's a bad game. I didn't expect that either, and I still don't understand why it got so popular. @Retruate To be fair that's how most one time wonder hits work. You just do it and hope for the best. Sometimes it goes viral, some other times, no one cares (Miitomo). @yomanation I think that hits are often unexpected, yet there are qualities that make them hits. I really like Pokemon Go but I hope it never effects the dedicated game too much. They are different as they should be, aiming at strengths of the platform and the type of gamer that will prefer one or the other or enjoy both for totally different reasons. It seems the novelty has wore off. *100% dream, I would say, includes trading, training, and actually interacting with your Pokemon.